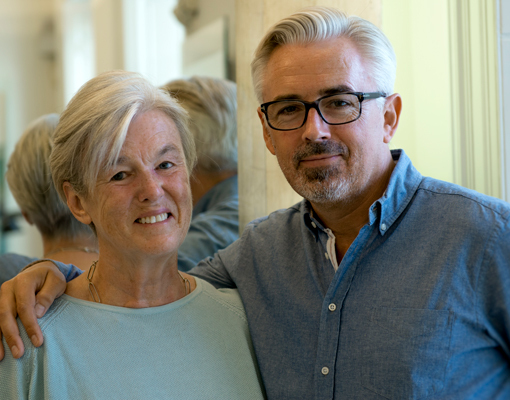 Our latest ‘Client Stories’ interview features Jason Miller, Joint Managing Director and one of his first ever clients Clare Meredith, whose relationship began almost 32 years ago when Clare first visited Charlie Miller’s Stafford Street Salon. Let us introduce you. ‘I had young children at the time, so having my hair cut was a bit of a luxury. The fact that Jason was a junior stylist back then was a bonus. He always makes me feel comfortable. Everyone’s like that in the salon. It’s very inclusive and non-judgmental. Jason’s a wonderful people person and wise beyond his years. Appointments with Jason Miller, or any of our amazing stylists across our five luxury Edinburgh salons can be booked at the click of button with our online app. View our price list here. We look forward to welcoming you to the salon soon.